My hand-painted wall art can transform a bare room into that enjoyable, vibrant and joyful place. 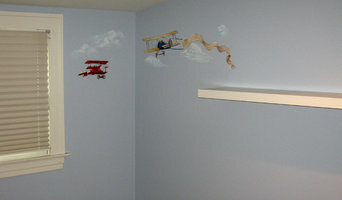 Sweet Dream Murals creates custom wall murals and canvas wall art for nurseries, children's rooms, playrooms, game rooms and more. Senior living in St. Louis South County Missouri offers independent living facilities on beautifully landscaped grounds, assisted living options, a nursing home facility, and a secure Alzheimer care area. Hello! Thank you for stopping by! My name is Aja Blue Sullivan, and I am the owner of Kid Kave Decor, LLC. It seems that all roads, whether directly or indirectly, have led me to discover, develop, and embrace my passion for interior decorating and crafts. I have a B.S. in Psychology, I have been a stockbroker, training manager a restaurant chain, and a retail executive at Target. I am also pursuing my second B.S. in Nursing. Believe it or not, these experiences have served me just as well in my new business as much as my courses in decorating, design, home improvement, etc. However, you can have all the training, experience and talent in the world, but if you do not have the passion for what you do, it will show. Being the mother of two year old twin boys has been the biggest inspiration in my custom decor business. It helps me to not only be in tune with design and decor for children, but the value added aspects as well. The balance of form and function are key. At Kid Kave Decor, we believe that home decor should not only be about current trends, but a reflection of who we are or aspire to be. This is why the majority of the items you will find will be customized to you needs and styles. We will do our best to provide the color and fabric items to match any nursery, playroom, or family/multipurpose room style and decor. After you make your selections, we will work together to make your piece truly yours. Our favorite saying is, "Dress your home to fit your life. You can find us on Pinterest, Houzz, Facebook, Twitter, and at our website: www.KidKaveDecor.com. (coming soon) You can also contact me with any questions about the products listed, or a special creation. We also offer gift certificates! 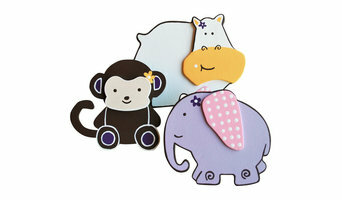 You can give the gift of decor for baby showers, births, housewarmings, etc. Again, thank you for taking the time to stop by. We look forward to working with you! We are a local online store in business of selling a variety of things needed for personal and home. When shopping with us you are giving back to the community and earning a little extra on the side. What does a Town and Country kids room and nursery designer do? Most designers who specialize in decor for kids’ rooms and nurseries will tell you that a child’s room isn’t just for sleeping in. Little ones need a space where they can learn, play and sleep safely. Furniture, blinds and even lighting have to work safely for both you and your little one. Whether you’re hunting for small or large brands, make sure you chat with your Town and Country, MO designer to make sure that what you buy meets safety requirements. To choose kids’ furniture that will stand up to the rigors of active play, look for high-quality furniture that meets Missouri standards. Make sure that each designer and manufacturer you work with is aware of any product recalls, dangerous materials and structural requirements. If you’re planning a larger project that goes beyond products, you might need to reach out to other qualified professionals for help. Here are some related professionals and vendors to complement the work of kids & nursery: Artists & Artisans, Furniture & Accessories, Interior Designers & Decorators. Find kids’ room and nursery professionals on Houzz. Narrow your search in the Professionals section of the website to Town and Country, MO kids’ room and nursery designers. You can also look through Town and Country, MO photos to find a room you like, then contact the designer who worked on it.